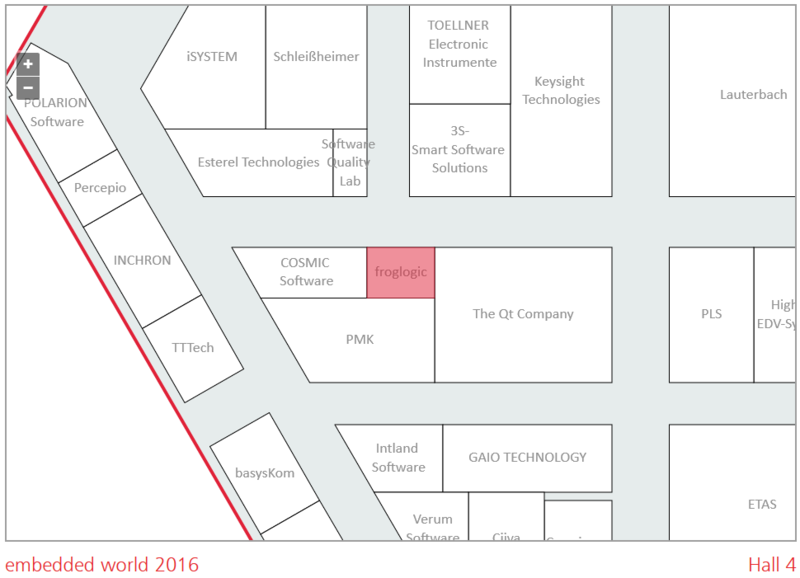 froglogic will be present again after last year’s huge success at the Embedded World Conference in Nuremberg, this time from February 23th – 25th, 2016. You will find us at Hall 4 / 4-306 next to Qt showing live demos of testing BDD and embedded HMIs with the Squish GUI Tester. 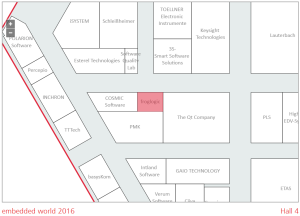 If you would like to schedule a meeting at the Embedded World Conference 2016 with a representative of Froglogic, please contact us. To meet us at the Exhibition & Conference you can register for a free day ticket with the code ew16web.